Two typical Moud rugs, left with Herati pattern, right with garden motifs. Moud is a town south of Birdjan and Mashad whose carpet-knotting tradition has a long history. With their very characterful design they are easily recognizable and also enjoy an excellent reputation. 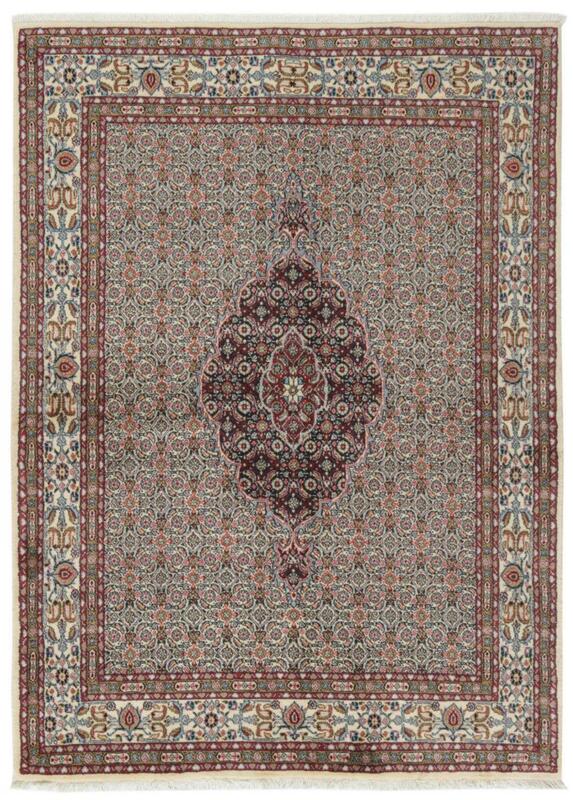 The Herati pattern of Moud carpets is dominant and immediately identifiable. In most cases it covers the major part of the surface. Some carpets also have a central medallion reminiscent of a star or hexagon. 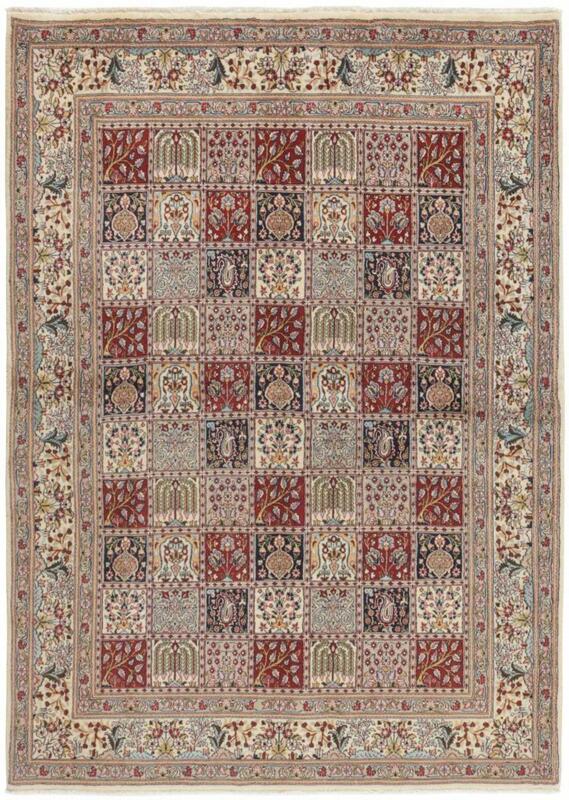 Many Persian carpets from Moud show motifs from Persian gardens in small rectangular borders. Such motifs are otherwise only used in Bakhtiari rugs. The strong colors are mostly taken from the colour ranges blue and red. With a contrasting ivory background, the colours shine even more. Because Moud carpets vary greatly in quality, the right choice of carpet is all the more important. Basically, an initial decision on the knotting density makes sense. In addition, attention must be paid to the material used for the knotting: Fine carpets have a silk content, which has been incorporated into the individual details and thus, literally make them shine in the light. These rugs have been provided from an assortment of over 800 Moud rugs by Nain Trading from Hamburg. Hamburg, Germany is still the most important hub for the trade of oriental rugs in the Western World with Nain Trading offering one of the largest assortments of handmade oriental carpets worldwide. Location - where are Moud rugs coming from? The city is located about 300 km south of Maschhad in the east of Iran.